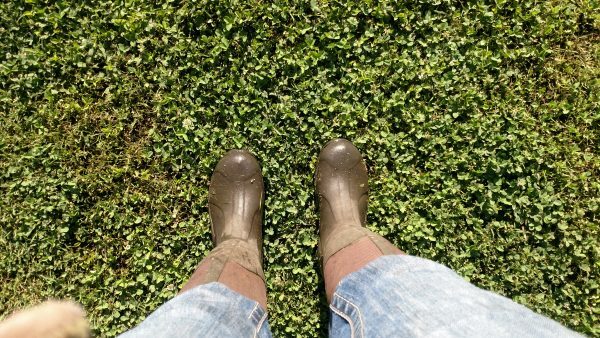 What does a weekend look like living on a farm? 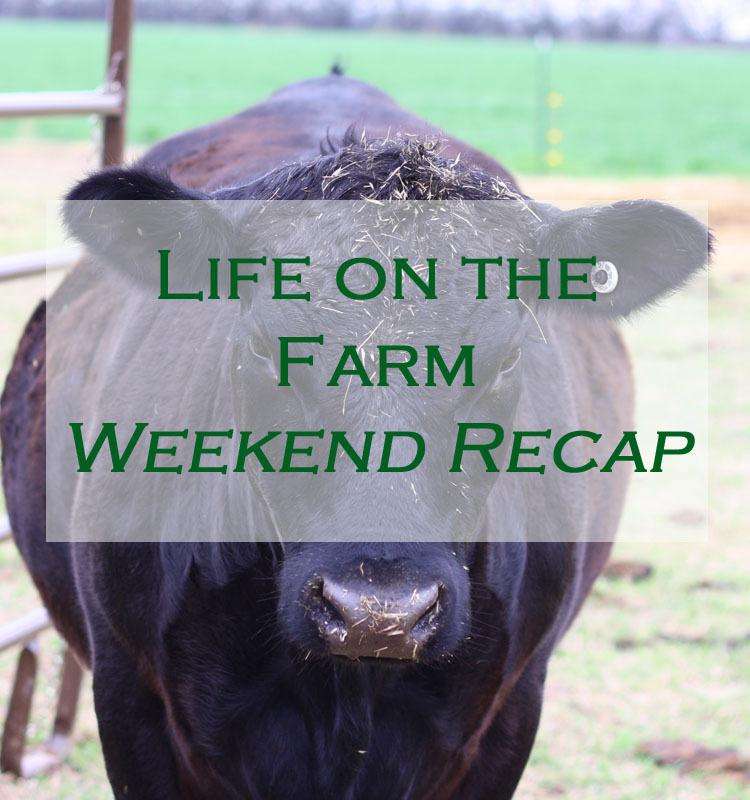 Well, it doesn’t look like what a lot of you probably experience 😉 I decided to do a little weekend recap so you can get a glimpse of life on the farm! I started off my Saturday with a short, easy run to test out my newly adjusted knee. I started having problems with it after a 3 mile run on Wednesday, so this run was a slow (12min/mile) 1.5 mile run to make sure all was well. 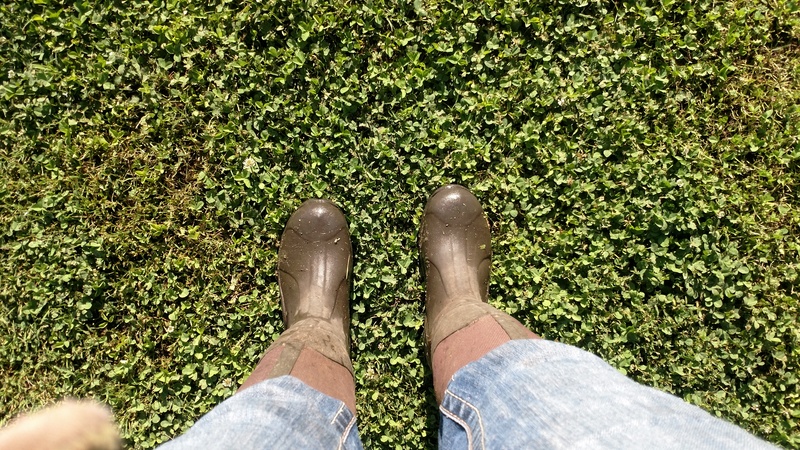 It was super humid at 7 am, which is extra hard on my asthmatic lungs, but I was happy with my knee when it was all said and done 🙂 During that run, I passed my father-in-law in the tractor on his way to get hay and saw my husband leave on his way to go feed our Charolais herd. After breakfast, the girls headed out to feed cows with Grandpa (they’ve been doing that every Saturday since they were babies) and I headed outside to take care of chickens! 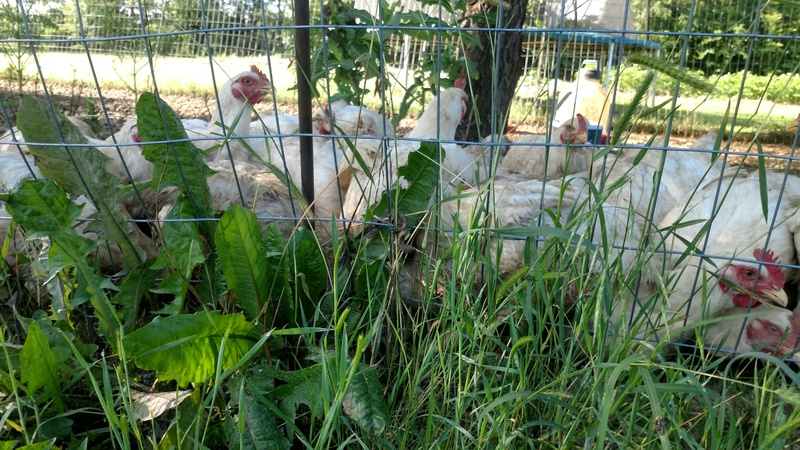 That consisted of feeding and watering broilers (we’re butchering them tomorrow- yay!) and opening up and watering the layers. 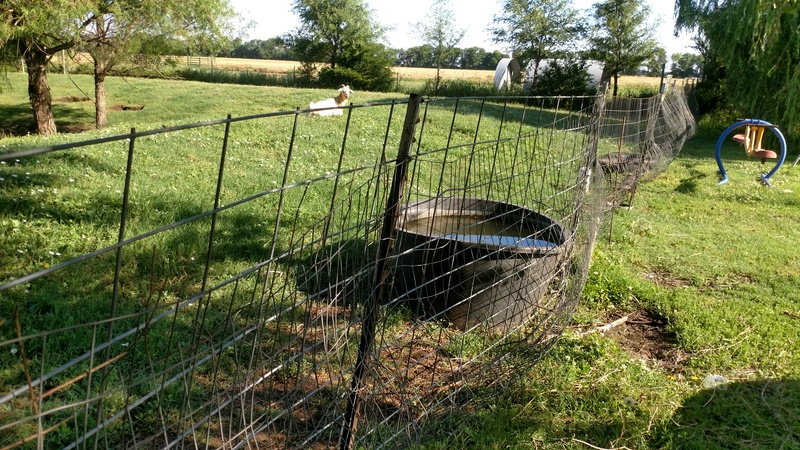 I also watched the lagoon goats for awhile to make sure the fence would hold. I spent a large portion of Friday fixing fence because they decided butting and busting through the fence was an appropriate activity…sigh…. They’re big, aren’t they? I’m always glad to get to butchering day! Here’s one of the culprits, along with a picture of the fence that they keep demolishing! I talked to my sister on the phone for awhile…. It continued to rain on and off the rest of the afternoon, so I replaced a zipper on Lindy’s jacket (my first time for that!) and baked for our church potluck. Also during the day, the girls fed our 4 orphan kittens. We’ve had them in the house for the last 3 weeks and I am ready for them to be outside! The girls worked on converting an old chicken pen to a kitten pen, but with the intermittent rain showers, they weren’t able to get it done. 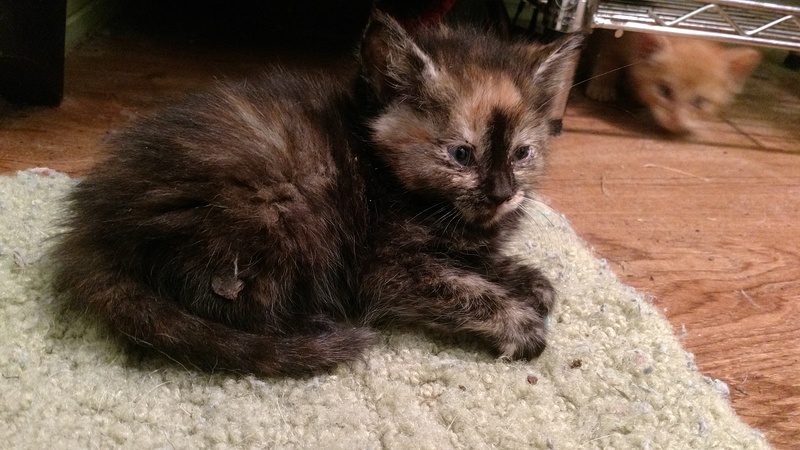 This is one of the orphans. Isn’t she cute??? I bottle fed kittens quite often when I was a kid (cats have a short life on a farm). I’m glad my girls get to experience it, too! OnSaturday evening, the kids ate leftovers and went to bed early and Jeff and I had our weekly date night! We’re very exciting people…. we do the same thing every Saturday night and have for the last 10 years, but we like it 😉 We order breadsticks from Casey’s and watch a Netflix show. We love all the superhero shows and right now we’re working on the current season of Arrow. On Sunday morning we did chores before church (the girls have to take care of their horses and Lindy has 3 4H goats and Elisa has a show heifer and I obviously did the chickens again). Jeff decided to wait until after church to feed the Charolais because of intermittent rain. Here’s the herd right after we got them late winter. These girls are all heifers. We also have a mixed cow/calf herd in a different pasture. 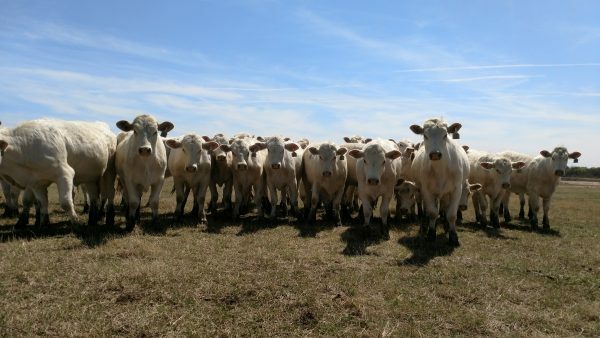 Having all white cows is definitely different for us! We barely beat the rain home! 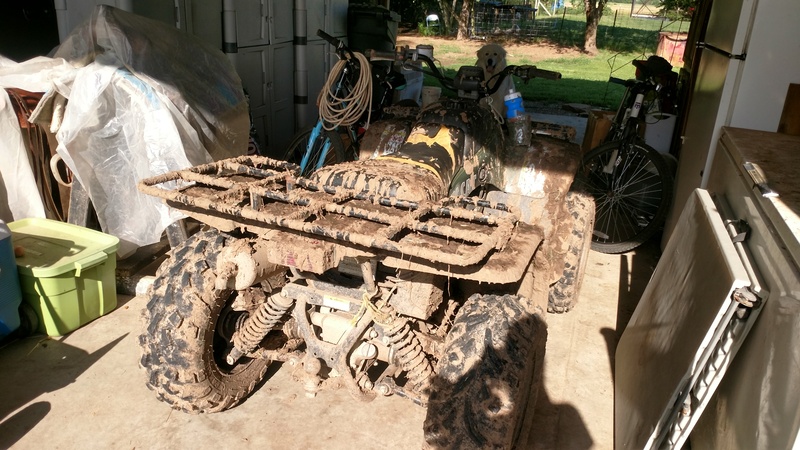 Jeff went outside to his shop to work, Lindy went muddin’ with her cousin on their 4 wheelers and Reece, Elisa and I went over to my mother-in-law’s to visit. My in-laws live just down the driveway from us and we visit with my mother-in-law most Sunday afternoons. On nice days we like to sit on the front porch, but she was in the middle of a cleaning project, so we just stayed inside. This is what the 4-wheeler looked like when she was done! When we got home from that, we all got ready for bed and hit the hay, lol! And here we are… Monday morning. What does a typical weekend look like for you? Do you like going, going, going or do you prefer to stay home? Next Post: Wheat Harvest – The Best Time of the Year!